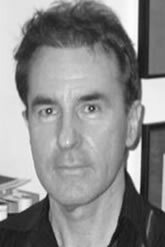 Tony Ward, PhD, DipClinPsyc, is the Director of the Forensic Psychology Programme at the University of Melbourne. He was previously director of the Kia Marama Programme for sexual offenders at Rolleston Prison, Christchurch, New Zealand. His research interests include the offense process in offenders, cognitive distortions and models of rehabilitation. He has published over 110 research articles, chapters and books. These include Remaking relapse prevention, Sage, (with D.R Laws and S. M. Hudson, 2000) and the Sourcebook of treatment programs for sexual offenders, Plenum (with W. L. Marshall, Y. A. Fernandez, and S. M. Hudson, 1998). He is currently working on a book on theories of sexual offending and rehabilitation (Wiley).